Do you ever feel like your favourite films aren’t done enough justice on your TV screen? Would you like the chance to see them in the cinema. Even better, if it’s a musical would you like to sing a long to your hearts content with a full auditorium full of like-minded people? Or do you have a favourite series that you would like to see back-to-back? Yes? 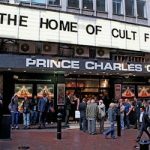 Well then the Prince Charles Cinema is for you. 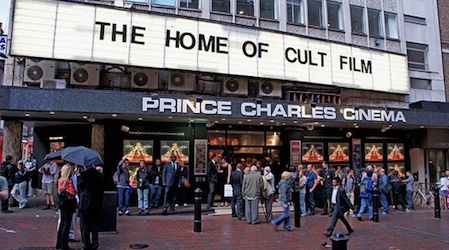 The Prince Charles Cinema is where Sing-a-Long-a events began. Sing-a-Long-a Frozen is a must-do for any self-respecting Frozen fan. The cinema also hosts Pixar films. Older kids will also love the selection of cult teen movies shown here. Tolkien fans with a lot of time on their hands can even see if they can survive the Middle Earth Marathon which covers the Hobbit and Lord of the Rings trilogies and lasts an epic 18 hours. Please check the website for the latest films, opening times and ticket prices.